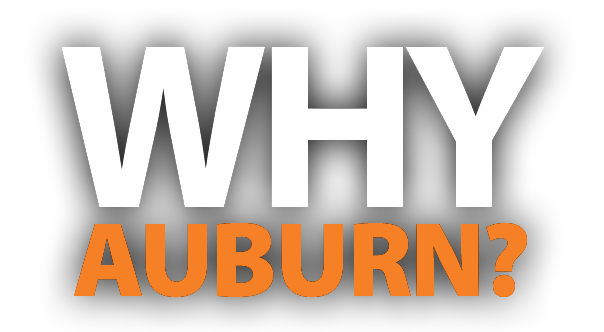 Let our students tell you about the experiences that make Auburn the right choice. What advice would you offer other out-of-state students who are considering Auburn? Notice the little things! What really made a difference for me were the little things, such as how many people greeted me with, “War Eagle!” It made me feel at home even when I was miles away from my real home. Auburn has become my home away from home, and I could not have asked for a better place to spend my four years. What sets Auburn apart academically from other universities? My major is international business with a minor in French. I would like to have my own business in Europe and continue to travel the world. Auburn’s French program has prepared me so well to meet my goal of becoming fluent in the language. My teachers are from French-speaking countries, and that is very rare to find at schools in the South. Other schools I visited did not have staff that grew up speaking French. 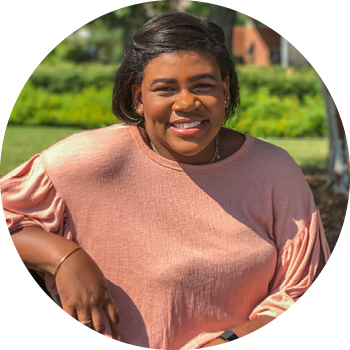 How did getting involved on campus help you acclimate to life at Auburn? I have been involved in the Freshman Leadership Program, S.O.A.R athletic recruiting program, and an on-campus Greek life organization. I am also a member of the National Honor Society. Getting involved has helped my transition from high school tremendously. I did not know a single soul coming to Auburn and as soon as I got involved, I felt like I knew everyone on campus. What do you wish you had done differently as a freshman? I wish I had taken advantage of all the free academic resources. Study Partners, which is peer tutoring, has made such a difference in my grades and I should have utilized the program during my first year here. Want to hear from more students? Sign up to receive our viewbook, as well as other information about academics and student life at Auburn.